Its officially September, and those that subscribe to the Xbox Game Pass and Xbox Live Gold will see quite a few new additions this month. 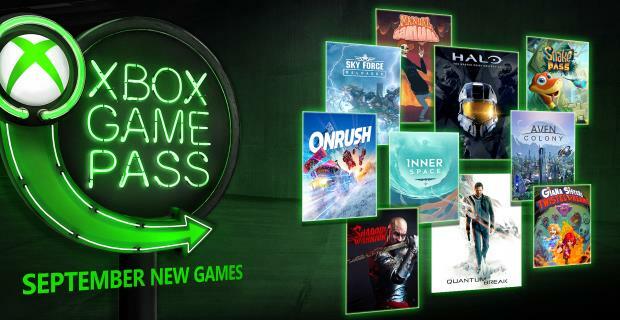 For Xbox Game Pass, while there are a handful of indie titles, the big fish this month include Halo: The Master Chief Collection and Quantum Break. As usual, you can find these on Xbox Game Pass tab of your console in addition to the other 100+ titles already available. Onrush will be available later this week on Sept 5th. Not the most exciting freebies this month, but free is free and if you haven’t played them yet, grab them before them are gone.